As we finish out this section by considering verses 16-17, we are reminded that this is the third of three warnings given here. Verse 14 had given the call to earnestly pursue peace and holiness. It then explained why, mentioning three possible bad outcomes that might happen if we aren’t diligent in our Christian walk. Two of these possible outcomes are listed in verse 15. The last one is listed here in verse 16. Each are prefixed with the word “lest”. So, in verse 16: “lest” there be anyone like an Esau that would spring up from within the church. Together we must pursue the peace and holiness of God lest an Esau rises up from our midst. So then, this is our topic to consider today. We are going to consider this threat of an Esau coming forth from us. Let’s begin then considering the nature of this threat. Start by recognizing that Esau was someone born into the covenant community. And though we see in Scripture that it was according to divine election that Esau wouldn’t ultimately know the saving love of God, he nonetheless was born into the household of faith and into the family of God’s promise. Surely, he had received circumcision, the sign of covenant. God had first entered into covenant with Esau’s grandfather Abraham, giving him various saving blessings and promises. God told Abraham that this covenant would be carried on specifically in the line of Esau’s father Isaac. And when Isaac and his wife Rebekah were at first childless, God opened her womb and that’s when they begot Esau and Jacob. And so, Esau along with his twin brother were born into the Abrahamic covenant. They both were children of this line of promise. Yet, ultimately, Esau would show himself to not truly be of that same spiritual heritage as that family. Just before mentioning Esau, verse 16 gives two descriptions that sound like they are meant to characterize Esau. In our translation, these are the words “fornicator” and “profane”. In terms of the word “fornicator”, we should note that there is nothing in the Old Testament account of Esau that records him engaging in literal fornication (though he did take quite a few wives). Likely this is using the language figuratively, that Esau is figuratively a fornicator in that he wasn’t faithful to God and his covenant relationship with him by making other things idols of his heart. We see that idea a lot in the Bible, particularly in the Old Testament where Israel is described as being unfaithful to God. This is such a common understanding of the word that dictionary.com lists its number two definition for “fornication” as “idolatry”, citing the Bible. And so likely this speaks of the idolatry of Esau. We don’t see Esau in Scripture setting his heart on the Lord or the things of the Lord. And so, Hebrews is alerting us here to this aspect of the temptation. If your heart isn’t fixed on the Lord, then likely you are going to end up making other things as false gods in your heart. That’s a form of spiritual fornication, instead of clinging to the God you are in covenant relationship with, you give your heart to some other idol that you are not covenanted with. Furthermore, we see Esau described as profane. The word “profane” means secular or worldly. It is the opposite of being holy. In other words, he was not someone who had been pursuing the holiness mentioned back in verse 14. Surely this was seen in his choice of wives. He married some local Canaanite girls who became a source of grief to his parents. You might remember from the Genesis account that Abraham didn’t think at that time that the local women would be a good place to find a wife for Isaac and so he sent his servant back to his former home of Haran to find a more fitting wife for a man of God. Likewise, that’s where Isaac would send Jacob to find a wife as well. But Esau didn’t take such a godly wife. He chose the worldly girls and they were a problem as you might expect. This is one illustration of Esau’s profaneness. That surely is a threat to us as well. If we aren’t diligent in our pursuit of holiness as described in verse 14, then surely we will be entertaining worldliness. There is no neutral ground. We will either be seeking a life that is holy unto the Lord that gives glory to God, or we will be adopting a worldview and lifestyle that is profane in nature. Moving then to our second point, we can see Esau’s spiritual fornication and his profaneness by his selling of his birthright. This is referenced in verse 16, “who for one morsel of food sold his birthright.” Hebrews describes there what Genesis 25:34 says like this: “Thus, Esau despised his birthright.” Taking the story on its most surface level, I’ve always had trouble understanding what Esau was thinking. Esau had come back famished after a day of hunting. When he arrives home, Jacob had a pot of stew ready. Esau claims he’s going to die unless he has some of the stew. Jacob ruthlessly offers to sell him some at the cost of his birthright as the firstborn. Esau foolishly agrees. I’m not sure how hungry you have to be sell your birthright like that, but the math alone doesn’t add up. For Esau to be willing to do this, indeed means he despised that birthright. In other words, he didn’t properly value it. He valued it less than a bowl of soup! I guess it would be helpful to clarify that the birthright refers to how the firstborn son received a double inheritance than the other sons. This is technically different than the blessing which gets referenced in the next verse here in Hebrews. And so, when Esau sells his birthright for a bowl of soup, it shows at a bare minimum some really bad math skills. It surely shows a complete disregard for the future. It is foolish and unwise. But does that make it profane and spiritual fornication? Well, maybe not if this was just any other ordinary birthright. But this was no ordinary family with no ordinary inheritance to pass along. This family was heir to the Abrahamic covenant with its promise of a divine and heavenly and holy inheritance that was worth more than anything they could ever imagine. To despise this birthright then was to despise the promises of God. It’s to despise heaven itself. It’s saying that the bowl of soup is worth more to him. It was spiritual fornication and profaneness in the highest level. Hopefully you understand what this is getting at. This business transaction by Esau showed his love of the immediate earthly pleasure over the eternal promises of God. If I were to give the greatest benefit of the doubt to Esau and assume that he really did think he was about to starve to death, he would still be in the wrong. Because if he really thought he was dying, then he would still be wrong to value this birthright more than his physical life. Almost nothing in this life is worth dying for, but there are a few things. This birthright would have been one of them. Not any birthright. But the birthright that was the divine heritage God bestowed on the line of promise through Abraham was. As we’ve been seeing, this heritage bestowed on Abraham held out the fulness of the heavenly blessings which we now have as those who are believe in Christ. This is nothing less than eternal life and a glorious resurrection in the world to come when we will dwell with God in that heavenly city whose builder and maker is God. That’s the birthright that Esau despised. But it is our birthright, if we hold fast in faith in Christ. Let us so value this birthright that we would even trade our lives for it. But the good news is that such a birthright is not for sale. It is a gift, to those who would value it. And, yet, isn’t this the problem today. So many people put their highest value on what they can experience here and now. What they value most is things they can put their hands on in this life. They are in fact worldly and carnal in their focus. But the Christian life is to pursue the holy things of God and to value most the heavenly and the eternal. Wisdom should tell people that there days are limited here. Wisdom should tell people that they need to look beyond this life to what Christ offers in the gospel. Yet, like Esau, people can be so short-sighted and trade eternity for the here and now. So then in our third point we turn to verse 17 and see how Esau’s despising of his birthright ultimately played into his not obtaining the blessing of the covenant. Not only that, but he had no ability to change that outcome. Looking at verse 17, we see that it jumps forward in Genesis from the selling of the birthright in Genesis 25 to Genesis 27 where Esau hoped to receive from his father the blessings of the covenant as the firstborn. Of course, we remember from Genesis that he wasn’t able to secure that blessing. Before he could receive it, his brother Jacob dressed up like Esau and tricked his father Isaac, with his failing eyesight, into giving him the blessing instead of Esau. Hebrews here seems to connect Esau’s earlier despising of the birthright with why God gave the blessing as well to Jacob. Esau had made his choice and set his heart against the promises of God. Esau hadn’t put his faith and trust in God’s promises, and so God gave them instead to Jacob. But Hebrews says more. It notes how Esau did come to have a real genuine desire to inherit this blessing. Yet, when he finally did come to value it, it was too late. Verse 17 says that he found no place for repentance. What does that mean? Well, verse 17 explains this in terms of what he sought diligently with tears. This reference to seeking the blessing with tears points us back to Genesis 27:38. The background from Genesis tells us what Hebrews is talking about here. After Isaac blessed Jacob, he told Esau that he couldn’t take back that blessing. Isaac explained to Esau that this blessing given to Jacob put all his relatives including Esau under Jacob. (That was of course what the divine prophecy said would happen, even before the twins were born.) So then, Isaac in faith recognized that the blessing had been giving to Jacob and there was no undoing that. No matter how much Esau sought it then with tears, there was no undoing what was undone. It’s like after Adam and Eve ate of the wrong fruit, or the proverbial “pandora’s box”, there are certain things you can’t undo. No matter how many tears Esau shed, he couldn’t get the firstborn’s greater blessing after it had been given to Jacob. Surely, there is important application here. In the book of Hebrews this notion has been given that if we aren’t diligent in our faith, we could end up falling away in apostasy, never again to be restored to faith and repentance. We could miss out on the blessings of God in Christ. And this warning applies not only to those who might turn away from the faith. It also is a warning to those outside the church. What I mean is there is coming a time when it will be too late to repent of our sins and turn to Christ in faith. Either when we die or when the Lord’ return, the opportunity for repentance will be past us. The Bible tells us that there will indeed be many tears shed on that day. Surely many people will plead to God like Esau did to his father: Don’t cast me away to hell! Rather bless me too like your redeemed! But at that point it will be too late. There will be no place to be found for repentance on that day. So, don’t delay. Trust in Christ today and keep diligently trusting in Christ all the way unto glory. And so, as we conclude chapter 12 today, we see that it ends with this illustration to not be like Esau. But we remember that it began instead with the illustration to be like Jesus. Esau despised the eternal and redemptive blessings of God and that ultimately resulted in him in tears over something he couldn’t obtain. But in contrast, Jesus, for the joy set before him, endured the cross, despising the shame, and sat down in the victory as the firstborn Son over all creation, at the right hand of God. Jesus didn’t value a bowl of soup or even his own life more than obtaining the birthright and blessing that was before him. Or to say it in other words, Esau didn’t value what he should have valued and ultimately lost everything. Christ rightly valued what should be valued and obtained everything. So then what was the joy set before Jesus? What birthright and inheritance did Jesus value so much? In Psalm 2:8 God says to the Christ, “Ask of me and I will give you the nations as your inheritance.” Well, I said in when we studied verse 2, and I say it again: a central part of the joy set before Jesus was redeeming us. Christ desired to have us as his inheritance from the Father. Doesn’t that humble you? Doesn’t that fill you with great joy? Christ’s heart was setup on inheriting us! That’s why he went to the cross. Oh, the deep, deep love of Jesus for us! Who can explain it? That Christ would love us who are such sinners! Yet, Jesus beholds the beauty of what he is making us to be. Let us then set our hearts with Christ on that future. Let us desire and value that heavenly blessing and divine inheritance which we have together with Christ. 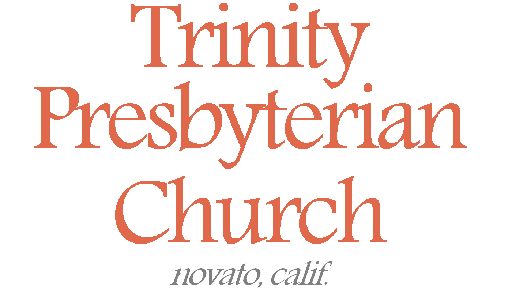 And so, Trinity Presbyterian Church, let us set our heart’s desire on the right thing, lest we realize too late what is truly of value. In doing this, may we help confirm in our hearts that our faith in the Lord is genuine, knowing that such faith is not in vain. For as Isaac told Esau that Jacob indeed shall be blessed,” so too I bring that encouragement to you today. For those who hold fast to Christ in faith, God blesses you and indeed you shall be blessed. Amen.